Green Doctor (GD-1) by Medical Marijuana is a high yielding medicinal marijuana strain that is a great choice for treating conditions such as Depression, Fatigue, ADHD, Anorexia and even some forms of Cancer. Ideal for growing medicinal marijuana indoors and outdoors, these medicinal marijuana seeds contain high levels of CBD and induce a cerebral and energetic effect that is instantly recognisable. 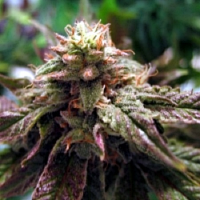 Looking to buy cheap, medicinal marijuana seeds online? Get in touch! Our friendly and helpful team is always on hand to answer any of your questions about any of our marijuana seed banks.